Watch out! The exclamation mark, also sometimes referred to as the exclamation point in American English, is a punctuation mark usually used after an interjection or exclamation to indicate strong feelings or high volume (shouting), or to show emphasis, and often marks the end of a sentence. Similarly, a bare exclamation mark (with nothing before or after) is often used in warning signs. Graphically the exclamation mark is represented as a full stop point with a vertical line above. One theory of its origin is that it is derived from a Latin exclamation of joy (io). The modern graphical representation is believed to have been born in the Middle Ages. Medieval copyists wrote the Latin word io at the end of a sentence to indicate joy. The word io meant "hurray". 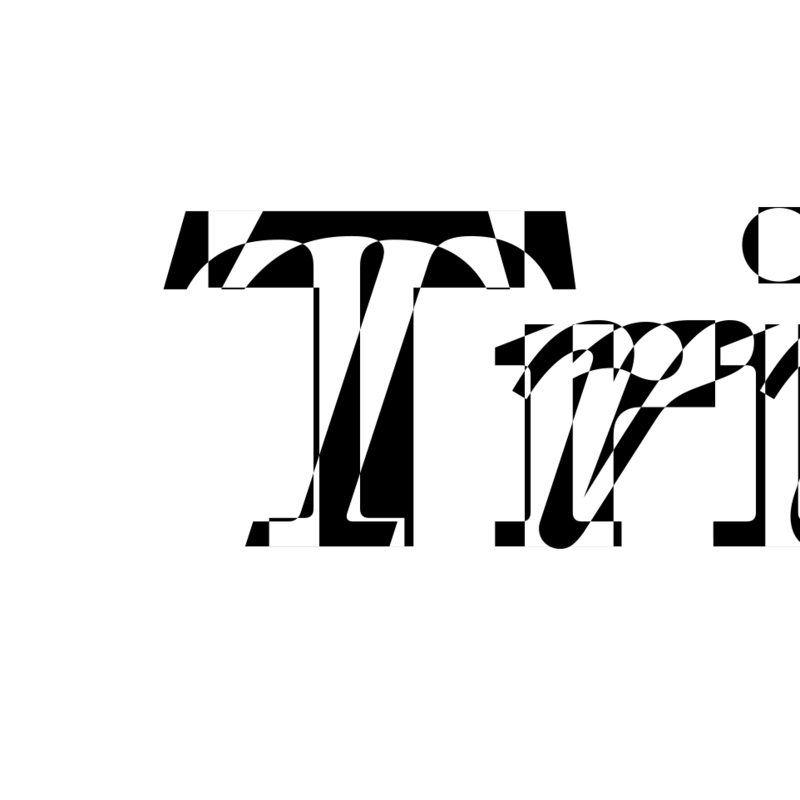 Over time, the i moved above the o, and the o became smaller, becoming a point. The exclamation mark was first introduced into English printing in the 15th century to show emphasis, and was called the "sign of admiration or exclamation" or the "note of admiration" until the mid-17th century; admiration referred to its Latin sense of wonderment. The exclamation mark did not have its own dedicated key on standard manual typewriters before the 1970s. Instead, one typed a period, backspaced, and typed an apostrophe. In the 1950s, secretarial dictation and typesetting manuals in America referred to the mark as "bang", perhaps from comic books where the ! appeared in dialogue balloons to represent a gun being fired, although the nickname probably emerged from letterpress printing. This bang usage is behind the names of the interrobang, an unconventional typographic character, and a shebang line, a feature of Unix computer systems. This #FontSunday, Design Museum challenged the graphic design community to post the beauty of the exclamation mark in use. Explore more on Twitter's hashtag adventure here. 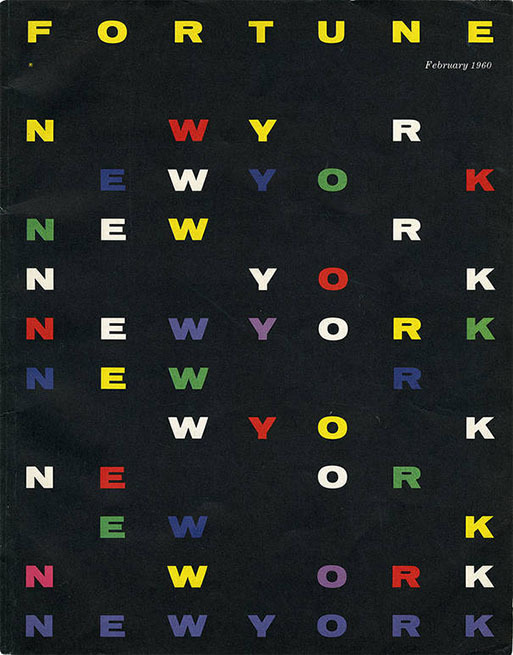 Monotype's Helvetica Now was obviously the viral sensation of the week for graphic designers and typophiles alike. But there was another viral sensation for the Twitteraties with a thing for Nordic design. The Pyte Foundry, aka the commercial protraction of Ellmer Stefan’s 2016 free font lunacy of the same name, is back. "The typography of the 2020s is gonna look like the typography of the nineteenth century (definitely not modernism, thank goodness) – just digital, instead of analog" comments Dan Reynolds of the Pyte Foundry's second coming. "In late 2015, Ellmer set out on a quixotic journey: he decided to release a new display typeface every Monday in 2016. And thus The Pyte Foundry was born" writes Typographica's Frank Griesshamer of Pyte Foundry's viral appeal back in 2017. Eventually, Stefan's task was viable as this type foundry operated according to the following rules. Every typeface was new. Every typeface was available free of charge. Every typeface was available for one week only. Therefore a weekly habit for type geeks was created each Monday before a brief pause to Stefan's portfolio. 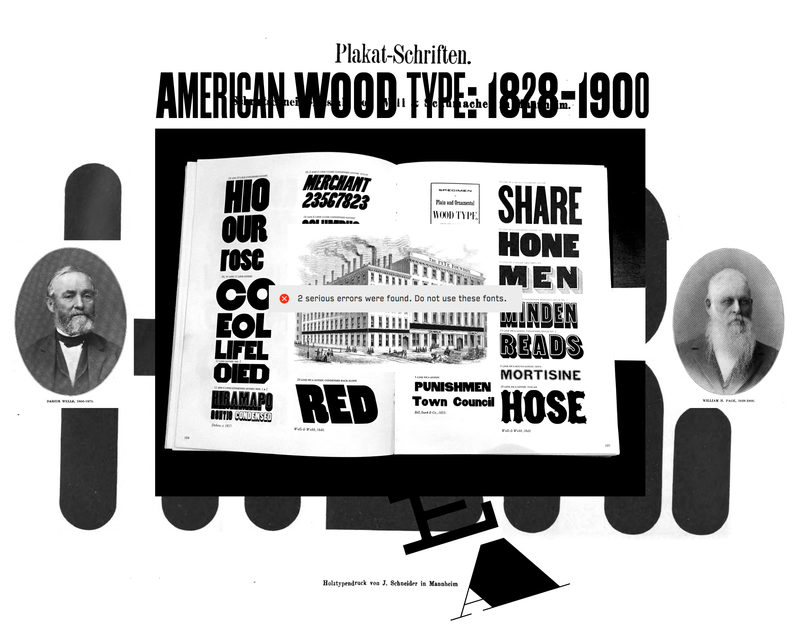 Ellmer Stefan studied graphic and type design in Vienna, Arnhem and Leipzig. Since 2011 he runs an independent practice combining custom type design, historical research and self-initiated projects. He is teaching regularly in typography and type design and has in the past collaborated with (amongst others) ANTI, Los&Co, Creuna Norway, NODE Oslo Berlin, Heydays, Olssøn Barbieri, Skald Forlag and Modest. In recent years he won the occasional award and honorable mention for his type design work. 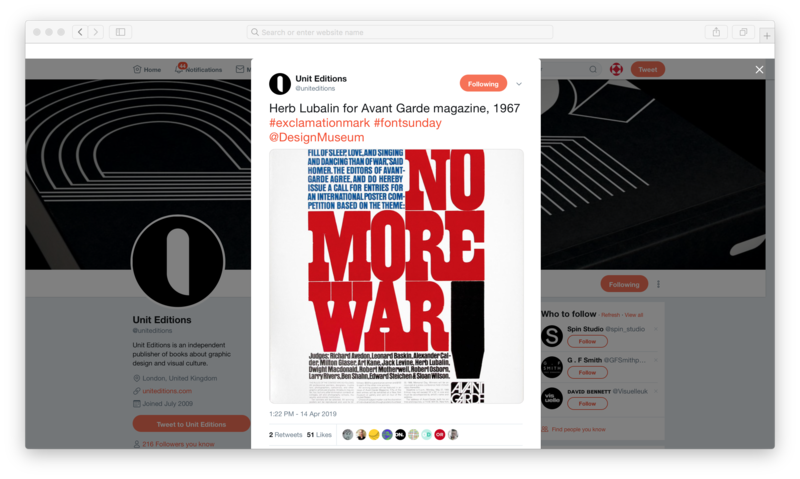 In this second coming "a selection of the back catalogue will be reissued, aside newly envisioned Pyte-faces balancing functionality and idiosyncrasy, historical reference points and contemporary design practice, hopefully to the delight of designers and readers alike" but they are not free to download. The rules may have changed and typography still rules. Explore Triptych and more here. 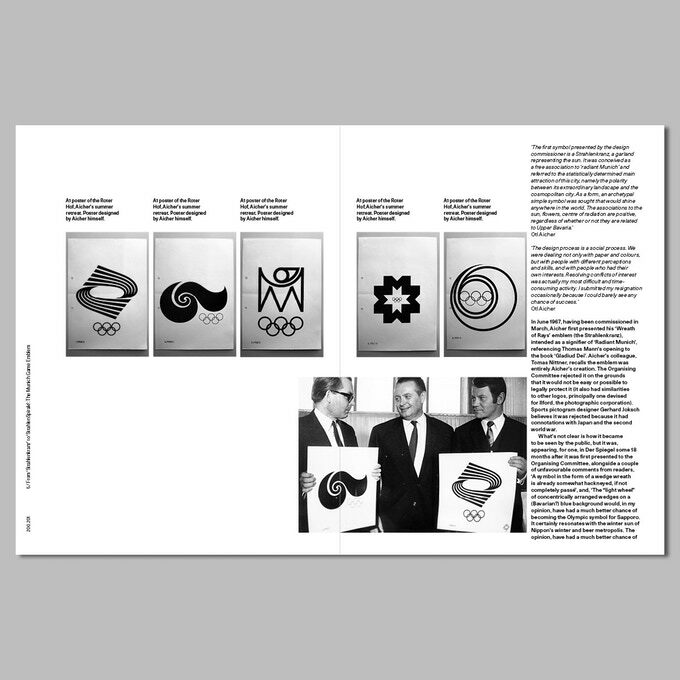 There have been a number of books on designer Otl Aicher but to date, none have provided a detailed account of the 1972 Munich Olympics and Aicher’s design team, Dept. XI, or the full and breathtaking scope of their outputs; not just print and the sports and info pictograms, but apparel, signage, stadium decoration, cityscapes, the official mascot Waldi, and the souvenirs. Well, this is about to change. Following 3 years of research, the first in-depth book on the '72 Munich Games design team and the breathtaking scope of their outputs. The book is researched, written, designed and published by Mark Holt, co-founder of London’s internationally acclaimed design studio, 8vo, and co-editor and co-publisher of the typography journal, Octavo. The successfully funded publication will be printed mid-September and available exclusively to Kickstarter pledgers in mid-November 2019, a few weeks prior to general release and launch. 50 years on from the Munich Games project it’s time for such a publication, for the story to be finally told. Learn more here. First things first. Milan becomes densely populated by the creative forces during its annual edition of Design Week. Exhibitions, museums and galleries are flooded with experts and curious observers alike in search of the latest design trends and during this year's fest of inspiration and trends, Belli Gallery presents the interactive installation "Eight Heads High" by HATO in one playful attempt to combine graphic with participatory design. The exhibition, curated by Emanuele Bonetti and Loredana Bontempi, builds a reflection through a digital and contemporary eye on Humanism in Italy and the proportions of the human body. 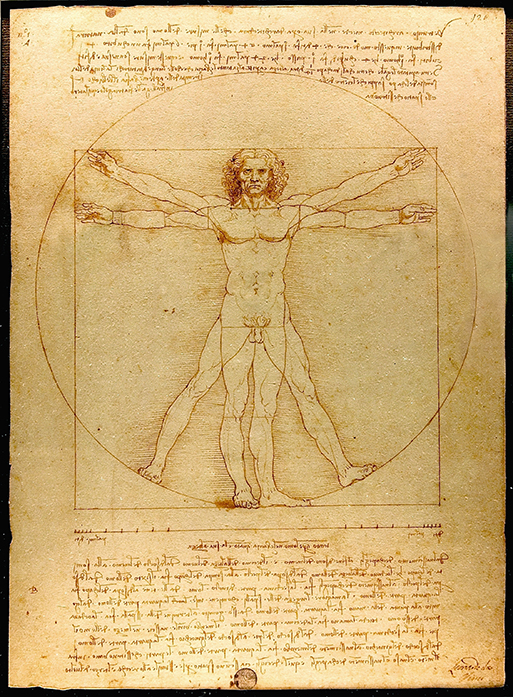 The creative studio HATO interprets the centrality of the famous "Vitruvian Man" (around 1490) by Leonardo da Vinci, inviting the public to participate with its own body to design a typeface. The immersive installation involves visitors of all ages, making them protagonists of an innovative way of accessible and open design. Their different movements and poses are captured to become the letters of the final alphabet, from which the type will take shape. In addition, an online experience launched at the same time on the website eightheadshigh.hato.co allows to contribute from everywhere to an even more extensive database of type. According to the philosophy of HATO, the practice of graphic design must be oriented to stimulate people's creativity and above all to provide the tools to express it. "Inspired by the history of Italian art since mid-fourteenth century to the present, the experimental project "Eight Heads High" stands out for its multidisciplinary approach to design, which combines architecture, science, performance and dance. 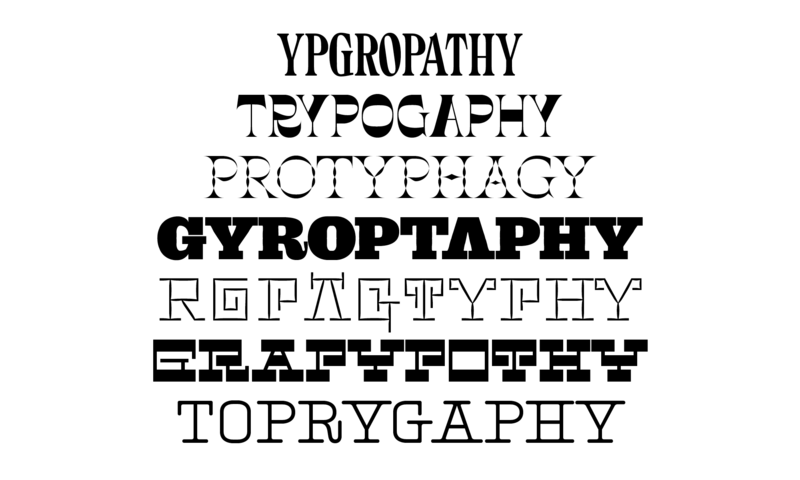 This follows the research field that HATO carries out with 'Playtotype', a method of making, playing and learning with the aim of maximizing the creative abilities of those who interact" notes Belli Gallery which, on the occasion of the Milan Design Week, from 10 to 13 April, will welcome everyone daily. HATO is a creative studio based in London and Hong Kong. Its work is focused on the impact of design on society and people. Changing the world is possible if everyone can communicate and HATO designs the tools and processes to allow everyone to do it with ease and fun. Belli Gallery is the first gallery in Milan of graphic design. 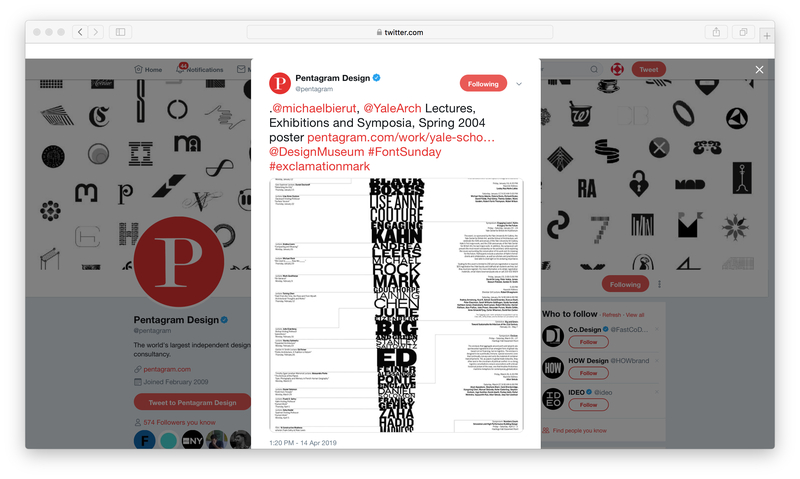 Inaugurated in 2018, it is a curatorial project of Parcodiyellowstone, a Milanese graphic design studio founded in 2010. With a view to promoting contemporary graphic design practices, it offers an international program with exhibitions, meetings, presentations and workshops. Furthermore, the space houses a small bookshop. Check the details of this typographic event here. From Fortunato Depero’s move to New York City in 1928 to Unimark International’s corporate identity work of the 1960s and ’70s, Italian graphic design has had a lasting influence on the American visual and cultural landscape and "Italian Types: Graphic Designers from Italy in America", an exhibition curated by Patricia Belen, Greg D'Onofrio, Melania Gazzotti at the Italian Cultural Institute of New York, displays the Mediterranean spirit that captured the heart of U.S.A in all its glory. 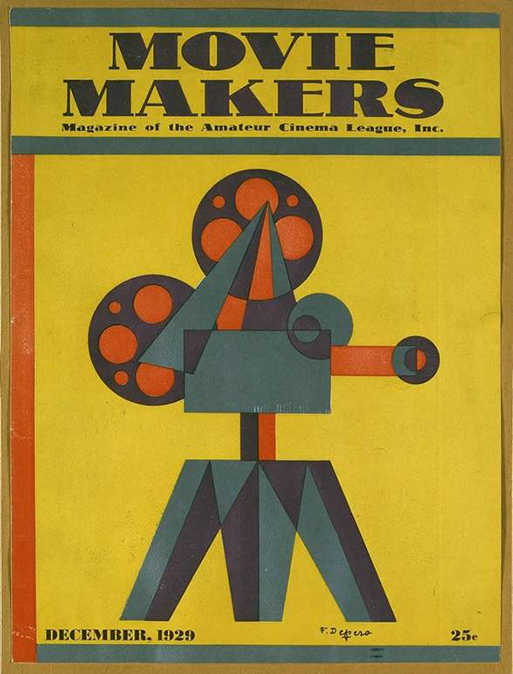 Italian graphic designers were living and publishing important work in the U.S in the last century. 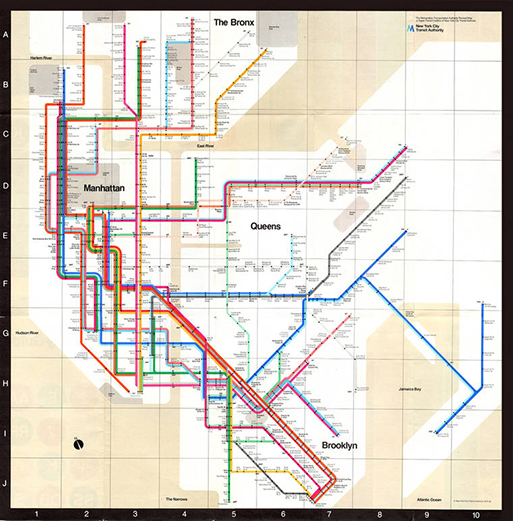 Their enthusiasm, experimental attitudes, and new modern approaches attracted prominent clients in progressive cities including New York and Chicago and gave them the opportunity to create iconic projects such as the New York City Subway System Map, designed by Massimo Vignelli (1972). 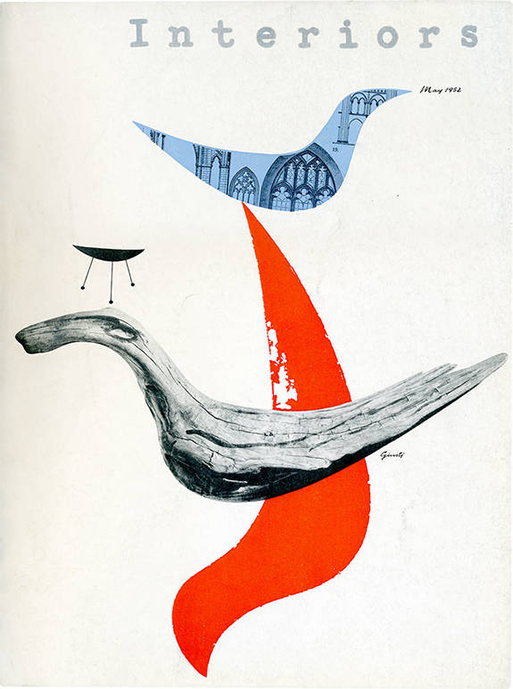 Featuring advertisements, posters, magazines, albums, book covers and corporate identity by Fortunato Depero, Paolo Garretto, Costantino Nivola, Leo Lionni, George Giusti, Albe Steiner, Erberto Carboni, Ronaldo “Aldo” Giurgola, Roberto Mango, Giovanni Pintori, Bruno Munari, Franco Grignani, Heinz Waibl, Giulio Cittato, Bob Noorda and Massimo Vignelli the exhibition offers an overview of the achievements of Italians in the field of graphic design in America, and address their distinctive graphic language. 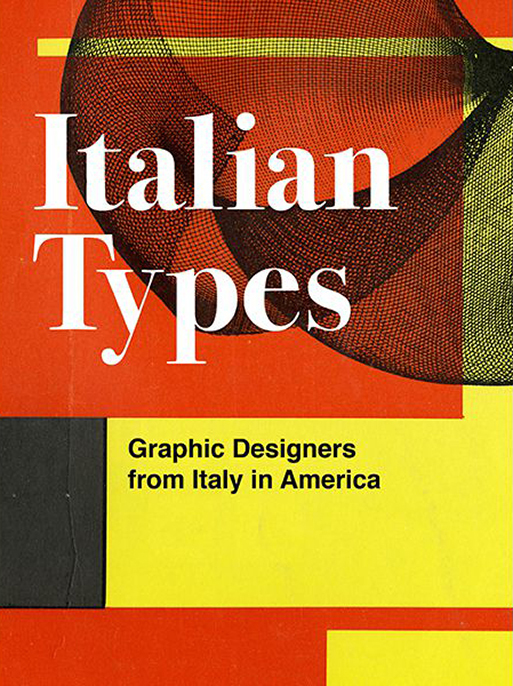 Whether they succeeded right away or suffered hardships, their personal and professional experiences shed light not only on graphic design but also identity, politics, migration, historiography and the journey of the human spirit as this highly curated selection includes designers who worked for American clients while living in Italy and others who created new lives by moving to America. On the occasion of the exhibition, Corraini Editore published a catalog with essays by Steven Heller, Patricia Belen, Greg D'Onofrio, Alessandro Colizzi, and Alexander Tochilovsky, with designer biographies by Melania Gazzotti. "Italian Types: Graphic Designers from Italy in America" at the Italian Cultural Institute of New York is in collaboration with The Herb Lubalin Study Center of Design and Typography at The Cooper Union for the Advancement of Science and Art and with the support of AIAP Associazione Italiana design della comunicazione visiva. The exhibition runs through Thursday, May 02, 2019. Italy, Italian, advertisements, posters, magazines, albums, Book Covers, corporate identity, Fortunato Depero, Paolo Garretto, Costantino Nivola, Leo Lionni, George Giusti, Albe Steiner, Erberto Carboni, Ronaldo “Aldo” Giurgola, Roberto Mango, Giovanni Pintori, Bruno Munari, Franco Grignani, Heinz Waibl, Giulio Cittato, Bob Noorda, massimo vignelli, heritage, exhibition, New York, Corraini Editore, catalog, Steven Heller, Patricia Belen, Greg D'Onofrio, Alessandro Colizzi, Alexander Tochilovsky, Melania Gazzotti.